You will only achieve the best cutting results using the right blade. 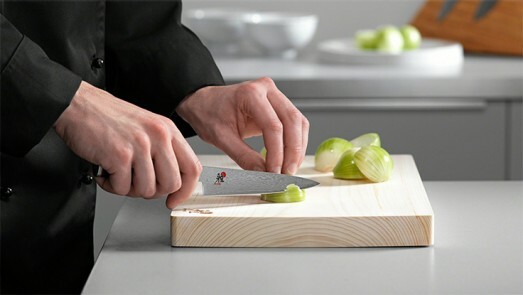 Find out below which type of knife is most suitable for which work. 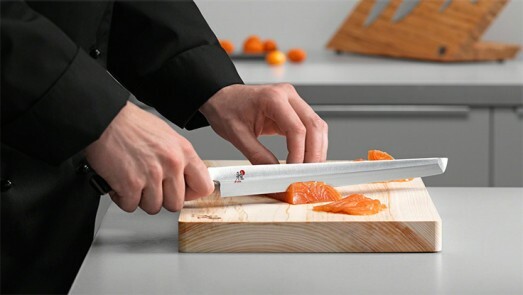 The Kudamono is a vegetable knife and is perfect for cutting and peeling fruit and vegetables. The Shotoh is a small knife, ideal for cutting, peeling and garnishing fruit and vegetables. 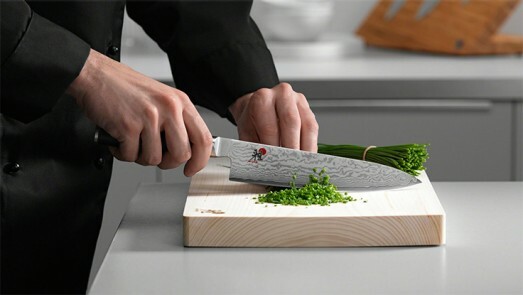 After the Santoku, the Shotoh is the best selling blade shape in Japan. The Chutoh is a medium-sized knife. 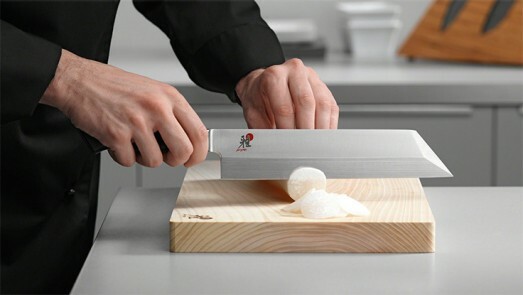 It is used when the Shotoh is too small and the Gyutoh too big: an all-purpose kitchen knife. The Gyutoh is regarded as the slicing knife and is mainly used for finely slicing meat and large vegetables. The Deba is the coarse knife used in Japanese cuisine. Its robust blade is especially good for filleting and boning fish and meat. 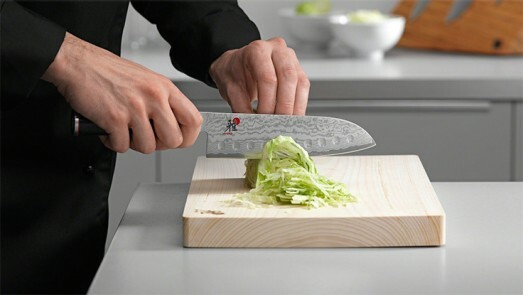 The Kodeba is a smaller version of the Deba and is also used for filleting and boning, as well as for chopping vegetables. 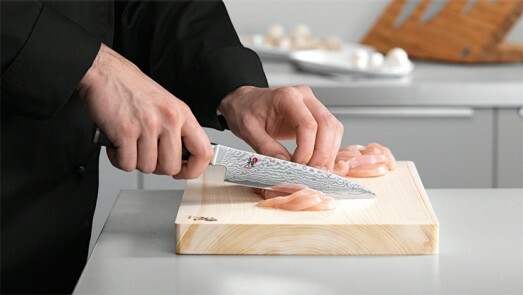 Santoku is the best-selling shape of blade in Japan and translates as "Three Virtues". 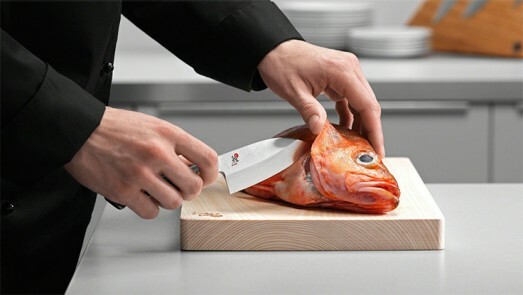 The name relates to the versatility of this blade shape, for instance for vegetables, meat or fish. The Sujihiki is a very fine carving knife. 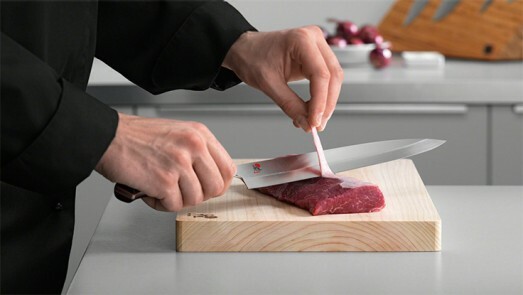 It is ideal for slicing raw or cooked meat and fish. Yanagiba means "willow leaf blade". The knife is particularly suitable for cutting raw fish fillets into thin slices (sashimi) and is often referred to as a sashimi knife. The Yanagiba can also be used to trim fillets of meat. Kiritsuke literally means "slit open". This blade shape is an all-rounder in Japanese cuisine and is widely used for the preparation of sashimi and the fine slicing of vegetables. 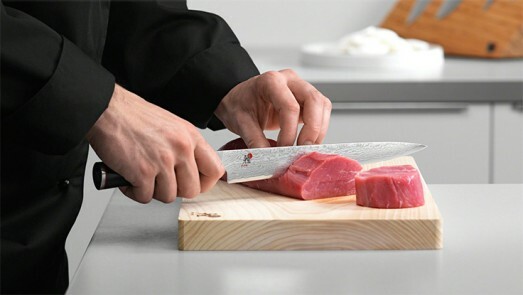 The Sakimaru Takobiki is perfect for preparing sushi and sashimi. 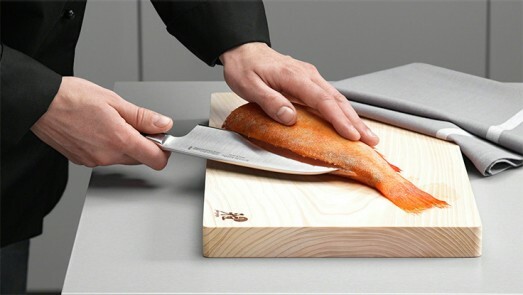 The fine blade is ideal for slicing wafer-thin slices of raw fish. 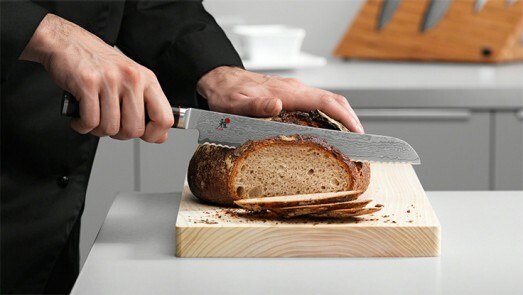 The scalloped edge cuts effortlessly through hard bread crusts and slices thinly and cleanly.